Information about Asist Orthopaedic Knee Heating Belt Asist Orthopaedic Knee Heating Belt is an orthopaedic heating pad for relief from muscle aches. 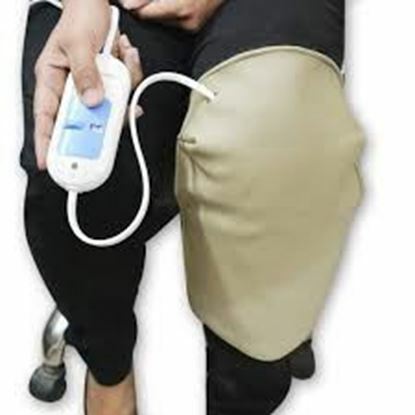 Use: An electric heating pad for relief in Knee pain. Salient features of Asist Orthopaedic Knee Heating Belt: - Covered with Leatherite material from outside to protect heat loss. - Made with fur fabric from inside to keep it warm. - It is a professional heating pad and provides full coverage. - Has a belt type design for hands-free use. - Keeps warm even after switching off. - Effective for people and old patient with severe neck pain.